Powertec Workbench Utility Bench (WB-UB) Available From Fitness Market in Louisville, KY. 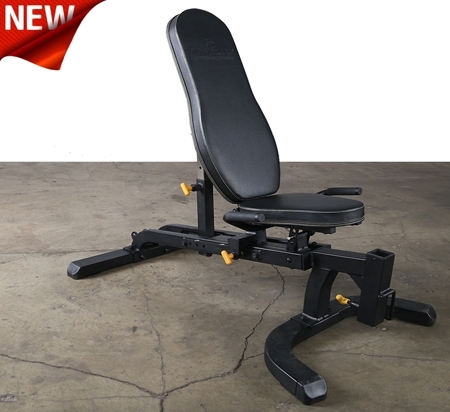 The Utility Bench features improved rear lock mechanism to increase stability. Also available is the optional connector (WB-UB-CN) which increases stability during workouts. 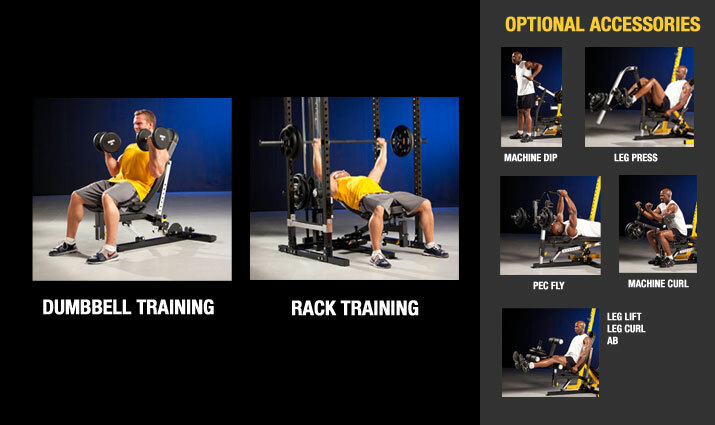 Its not necessary as an add-on for use with the Power Rack (WB-PR) or Half Rack (WB-HR). The Utility Bench will not connect with the Power Rack or Half Rack when the optional Lat Tower Option (WB-LTO) is connected.